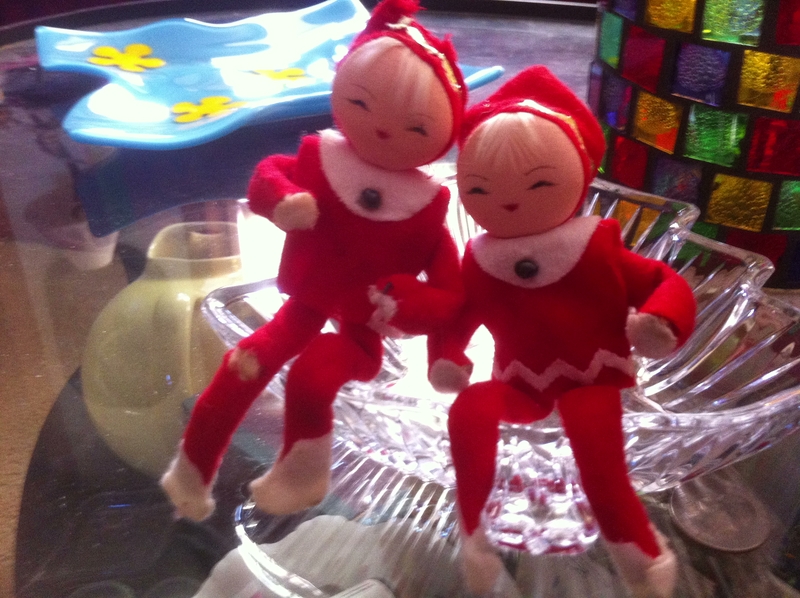 Long before the book “Elf on the Shelf” let the cat out of the bag on Santa’s little helpers, Binx and Jinx were at the Krejci House in Azusa checking up on Richard & Julie each Christmas. 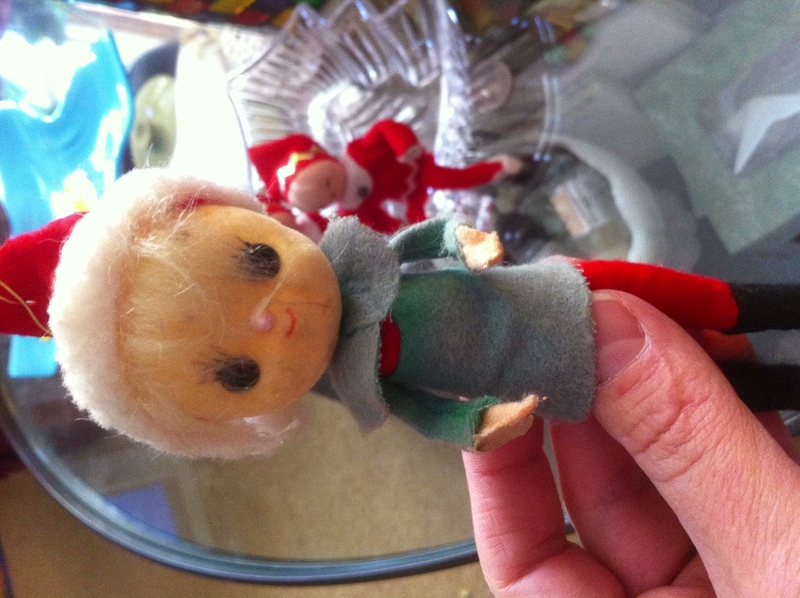 Bad Belinda, Santa’s fallen elf, also found a home with the Krejci’s long ago, causing chaos behind the two little elves everywhere they went. Now the three elves live with the Wilson’s in Jackson Wyoming where they kept a close eye on Douglas and Kyle as they grew up and reported back to Santa. Now the house is quiet, Binx and Jinx are enjoying their retirement in Wyoming along with Bad Belinda, they all love it there because it reminds them of their birthplace, the north Pole,however they are quite tired of 50 years of being locked up 11 months a year. It’s almost time for them to emerge from their keeping place for another Christmas. 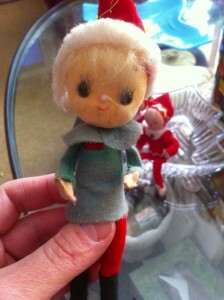 Now that the world knows all about Santa’s little helpers they should enjoy a bit more freedom. I wonder what adventures they will have, and what mischief Bad Belinda will get them into. This entry was posted in Binx & Jinx, Friends & Family on November 30, 2013 by TetonTrekker.